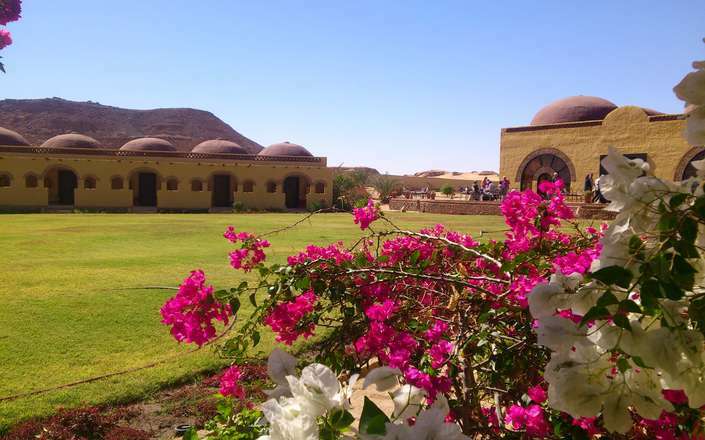 Built in a traditional Nubian style, with domes, exposed brickwork, and colourful plaster, the attactive Nubian Rest House in Karima is set within a beautiful garden and provides very welcome and unexpected levels of comfort. 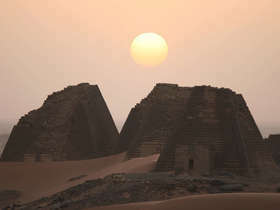 Within sight of Jebel Barkal - the holy mountain of the Egyptian and Nubian Pharaohs - each of the Nubian Rest House’s 22 air-confitioned rooms is inspired by the local architecture and features heavy carved doors, tall domed brick ceilings, pleasant verandas with sitting areas overlooking the lawn, and private bathrooms with shower. 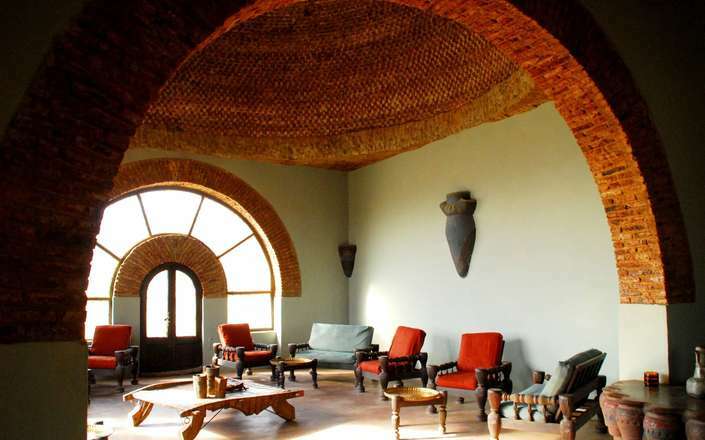 Tasty meals are buffet style or table d’hote (depending on accupancy) and provided in the spacious restaurant which leads off from a large lounge area that is decorated in an elegant yet rustic style and also features a small library with books on the people and history of Sudan. Limited Wi-Fi is available in the lounge if you need to catch up on emails. 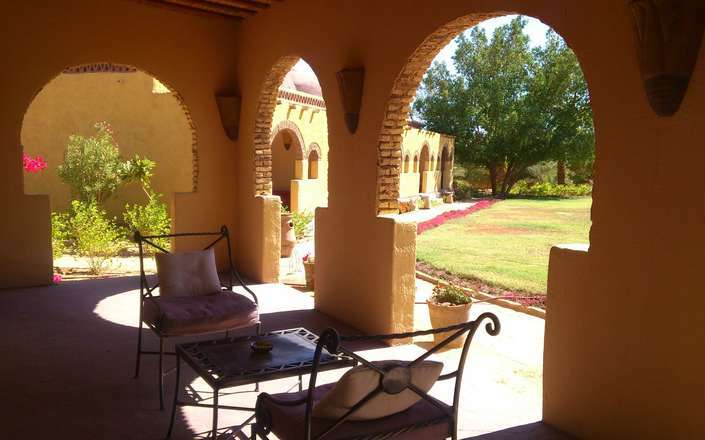 Outside, a spacious veranda appointed with tables and chairs makes an ideal spot for relaxing in the late afternoon or early evening over a cool drink. Additional facilities include a very effecient laundry service. 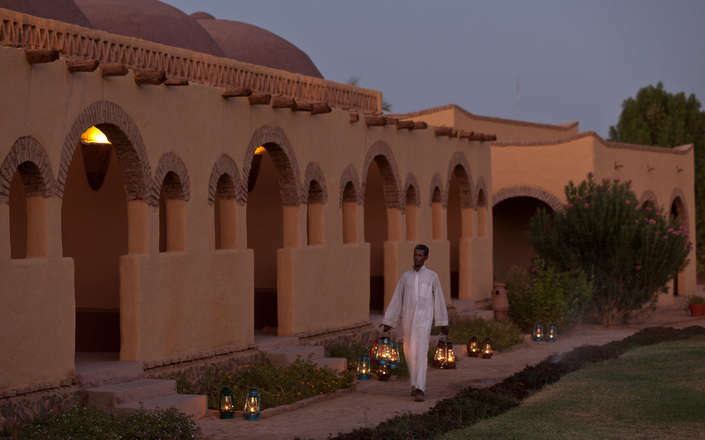 The Nubian Rest House, Karima has a Italian manager who is assisted by a team of very friendly and well trained Sudanese staff. 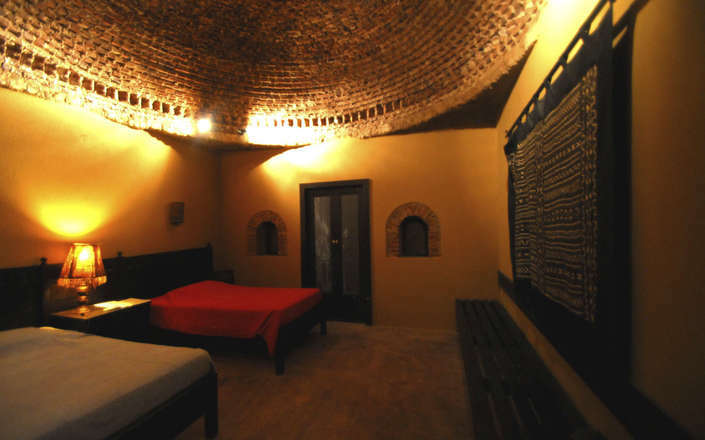 The rooms are built in an attractive Nubian style. The wide outside terrace is very pleasant in the evening.